Is AnnexinA1 The Miracle Drug For Diabetes? Type-1 diabetes is a genetic disease which develops as a result of auto-immunity against insulin-producing cells in the pancreas. Essentially immune cells, which are designed to attack foreign pathogens (bacteria and viruses) attack cells from their own body. This leads to a destruction of insulin-producing cells, and a subsequent lack of insulin production, eventually leading the patient developing high levels of glucose in their blood. This has very serious implications for the patients’ health. In the immediate short term, they can enter into a diabetic coma, as a direct result of elevated blood glucose, which can be fatal. 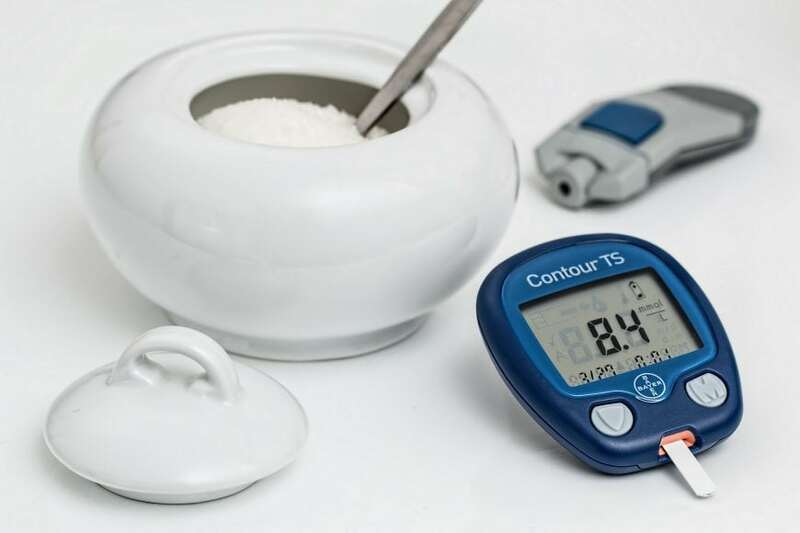 In the long term and even when patients undergo rigorous insulin replacement therapy to maintain normal blood insulin levels which lower blood glucose levels patients develop serious secondary complications. These complications are collectively known as microvascular complications and include diabetic nephropathy and diabetic cardiomyopathy. Currently, there are few medications available that are specifically designed to protect against the development of these complications. Additionally, there is little understanding of the mechanism’s that drive them although excessive inflammation is thought to be a key driver. Currently, there are no therapeutic strategies aimed at reducing inflammation in diabetes. In the last century steroids were shown to have therapeutic benefits in diabetes, but, due to their severe side effects could not be utilized in patients. Additionally, steroids themselves have been shown to induce a diabetic-like syndrome after long-term use. Annexin-A1 is an anti-inflammatory molecule produced in the body and is upregulated after steroids administration. Therefore, we foresee that annexin-A1 could have natural protective properties against the development of microvascular complications (which are caused by increased inflammation). Moreover, annexin-A1 could be harnessed as a therapeutic, with the same beneficial effects as a steroid but without the negative ones. In our recent work, we have shown that annexinA1 is elevated in the blood of patients with type-1 diabetes compared to healthy controls. Interestingly, patients with diabetes and diabetic nephropathy (a severe complication of diabetes) did not have a further elevation in serum annexinA1, this was further compounded by the lack of correlation between annexin-A1 and C-reactive protein (a marker of systemic inflammation) together these results suggested that the increase in annexinA1 seen in diabetic patients was indeed associated with having type-1 diabetes. This prompted us to further investigate the role of annexinA1 in type-1 diabetes and the subsequent development of microvascular complications. To do this, we used a well-established mouse model of type-1 diabetes that uses a chemical called streptozotocin to deplete beta cells rendering the mice unable to produce insulin and developing hyperglycemia. Additionally, we also used an annexin-A1 global knock-out mouse model (a mouse that produces no annexin-A1) to determine if annexin-A1 protects against the development of microvascular complications in experimental diabetes. Indeed, we found that diabetic mice lacking annexinA1 developed more severe diabetes and subsequent cardiac and renal dysfunction. Additionally, Purvis et al. demonstrated that if you give annexinA1 as a therapeutic you can protect the heart and kidney from functional decline. We went on to determine that the beneficial effects of treatment with annexinA1 were mediated through the re-activation of both the Akt pro-survival pathway and by reducing the pro-inflammatory and hypertrophic MAPK (JNK, p38, and ERK1/2) signaling pathways. These results demonstrate for the first time a role for annexinA1 in the disease progression of type-1 diabetes. Interestingly, this research opens up a new undiscovered avenue of research that could unblock a new drug target for the microvascular complication of diabetes. It is of note that annexinA1 has been highly extensively researched in many disease states including Multiple Sclerosis (MS), myocardial infarction (heart attacks) and sepsis. In all these studies the resounding theme is that endogenous annexinA1 plays a key protective role. Currently working in the Lab of Prof. David Greaves at the Sir William Dunn School of Pathology, University of Oxford, funded by the British Heart Foundation. The focus of my work is to understand better how macrophages can orchestrate a resolution phenotype in setting of acute and chronic inflammation. Egle Solito currently works at the William Harvey Research Institute, SMD, Queen Mary University of London-UK. Egle's team research is centred on the impact of inflammation and metabolism at the intersection between the immune system and the blood-brain barrier. The lab study diseases such as Multiple Sclerosis, Alzheimer and Diabetes. The lab use in vivo approach on animal model as well as ex vivo and in vitro model (murine and human) of BBB.